Welcoming Our Volunteers! - Children's Communication Center, Inc.
Lori Savage Grayson, Founder & Director of Children’s Communication Center, Inc., is thrilled to welcome two undergraduate Florida State University students who are eager to “work” at this Center as volunteers! Ms. Grayson looks forward to their time at this Center as they each pursue their interest in becoming a pediatric Speech-Language Pathologist (SLP). 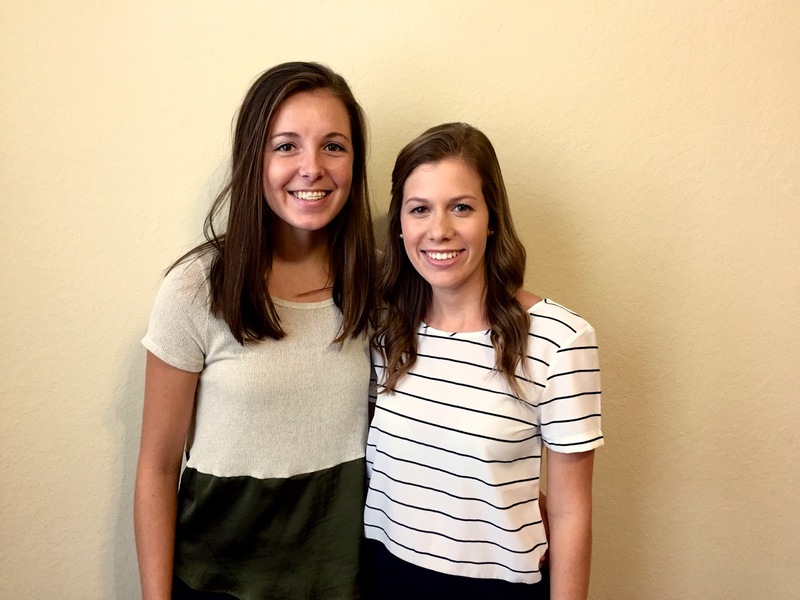 Please be sure to welcome Mackenzie and Dana when you see them! NOTE: Watch for Ms. Grayson’s My Perspective: The Value of Volunteers & Volunteering in the coming days! Mackenzie is a junior at FSU majoring in Psychology and minoring in Child Development with a desire of pursuing a Master’s degree in Speech-Language Pathology. She looks forward to a future of helping children in a pediatric setting. Her biggest hope is to help children feel comfortable in their own skin amongst their peers. She strives to gain focus in assisting children with apraxia and autism in her community. Dana is a senior at FSU majoring in Communication Science & Disorders with a minor in Psychology. She plans on pursuing a Master’s degree in Speech-Language Pathology next year and aspires to be a pediatric SLP. Her love of children and desire to help others communicate fills her with excitement for her future career. She is specifically interested in working with children with hearing loss. Both women are from Melbourne, Florida. They are avid runners, competed together in high school & continue to share runs amongst Tallahassee’s lovely trails.